The 'contract of sale' for the purchase of a car is a legally binding document. Do not sign a contract or pay a deposit until you are sure you want to buy the car. has a specific delivery date. always keep a copy of any signed documents. If there have specific contract requirements, make sure they are included in the contract. There is no statutory cooling-off right for car sales in Tasmania. You can only cancel a sale contract by agreement with the car seller or a court order. the vehicle is 'substantially different' from the pre-sale disclosure statement. You must inform the Motor Vehicle Trader in writing why you wish to cancel the contract. This must be done within 90 days after you take delivery of the car. You have 60 days after notifying the trader to apply to the magistrates court to cancel the contract. This is so that you have time to attempt to resolve the matter with the trader. make an order to resolve the dispute. Car sellers often display a ‘cash’ price and a ‘total’ price for vehicles. The motor vehicle trader or seller must specify all mandatory costs. fees that must be paid before the consumer receives the car. Make sure you know the full cost of the car, including add-on costs such as window tinting and rust proofing. It is common practice for licensed motor vehicle traders to take a holding deposit from consumers, in order to reserve the car. The deposit amount may vary. However consumers should only pay the minimum deposit the dealer will accept. get a receipt for the payment made. the features specified in the contract are included. All new cars come with a manufacturer’s warranty covering any faults and defects. Take care reading the warranty, as details such as the length of the warranty period can vary. Before the warranty expires, it’s a good idea to have a mechanic do a full check on the car. This allows problems to be fixed within the warranty period. Motor vehicle dealers may also offer extended warranties at the point of sale or at the end of a manufacturer’s warranty. These warranties extend the coverage provided in the original manufacturer's warranty, usually at an additional cost. Extended warranties are optional. Extended warranties may restrict your choice of mechanic and parts used, or lock the car into a service schedule with a specific dealer or group of dealerships. Regardless of the type of warranty (or even after a manufacturer's warranty expires), you still have protection under the Australian Consumer Law if there is a problem with a vehicle. has travelled less than 120 000km. The warranty expires after 3 months or after 3 000km, whichever happens sooner. cars that are on the ‘written-off’ register. Dealers or auctioneers must state if a car does not come with a statutory warranty. A statutory warranty will cover most defects, including where a part does not do what it is supposed to do, or has worn out so much that it no longer works. resulting from any unauthorised repairs, fittings or modifications made to the vehicle after the time of sale. If a problem or fault is covered by the statutory warranty and no manufacturer's warranty applies, the motor vehicle trader must have the car repaired at no cost to you. within 7 days of the owner being notified that the manufacturer has refused repair under a manufacturer's warranty. The repair must be carried out according to industry standards. The repaired car must be 'fit for purpose' and in a reasonable condition, having regard to its age, its original price and description, and all other relevant circumstances. It may be acceptable for example to fit a second hand part to a used car. the car must be of acceptable quality, fit for the purpose explained to the seller by the consumer, and match any descriptions and the demonstration model. You can seek a remedy (a solution to the issue) if a business sells a car that doesn’t meet a consumer guarantee. being compensated, such as for a drop in value. If there is a problem with a motor dealer or business, the first thing you should do is talk to them. Usually, people want to do the right thing and will be happy to fix any problems.  You might also be able to complain to the Tasmanian Automobile Chamber of Commerce, which is the representative body for the Tasmania’s automotive industry. Consumer assistance and advice is available regardless of whether the business or retailer is a TACC member or not.